Upon arrival in Buenos Aires, you will be welcomed by your Cox & Kings representative and transferred to your hotel. Enjoy the afternoon at leisure to stroll the streets, pay a visit to a museum or relax over a cafe con leche. Or just relax and enjoy the amenities of your luxurious hotel. Discover the highlights of the "Paris of South America," including the Plaza de Mayo's cathedral and the Casa Rosada presidential palace. Continue to the old neighborhood of San Telmo with its narrow, cobblestone streets; La Boca with its multicolor houses and soccer stadium; the elegant Barrio Norte neighborhood; and Palermo with its wonderful parks, gardens and magnificent mansions. This evening is dedicated to the heart and soul of Argentina - the Tango. Return to the bohemian and historic neighborhood of San Telmo for a festive dinner and authentic tango show in one of the city's best clubs. Fly north to Iguazu where you will be met and taken to your hotel that overlooks the thundering cascades of Iguazu Falls. 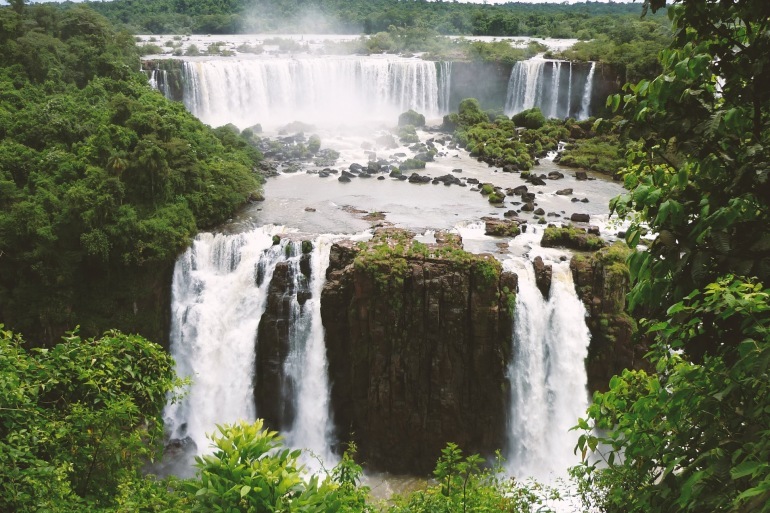 Listed as a UNESCO World Heritage Site and voted one of the New Seven Wonders of the World, Iguazu Falls are over 8,000 feet wide with more than 260 waterfalls, some of which pour down into the Iguazu River from as high as 210 feet. This afternoon, take a guided walk through the upper falls area for panoramic views over one of the world's great natural wonders. Enjoy the morning at leisure to stroll around the grounds of the hotel, visit the falls or simply relax by the pool amid the lush tropical vegetation. After, you will fly west to the heart of Argentinean wine country in Mendoza where you will be met and taken to your hotel. Enjoy the balance of the day at leisure. Perhaps you can enjoy a nice glass of Malbec. After breakfast, set off on a full-day exploration of some of the most important wineries of the region. Enjoy a special guided tasting, learn about the unique Argentinean terroir, sample some of the world's best Malbecs and savor lunch in a scenic spot at one of the wineries before returning to Mendoza for an evening on your own. Enjoy the day at leisure. If you like, take one of several optional excursions, including a guided city tour or a journey to mighty Mount Aconcagua, which at nearly 23,000 feet is the highest peak in both South America and the Western Hemisphere. Admire its icy grandeur as you walk through the foothills on an easy, scenic hike. Fly south to Bariloche and the Argentinean Lake District. Enjoy the afternoon at leisure. Embark on a sailing voyage on spectacular Lake Nahuel Huapi. Set sail in the calm waters of the Campanario branch before traveling to Huemul and Gallinas islands. Stop at a natural port to admire the beauty of the area and toast your journey with a glass of Patagonian wine. Back at your resort, savor the evening at leisure. After dinner, why not take a walk under the brilliant southern stars? Venture into the mountains today on an unforgettable adventure. Hike to the cliffs of Brazo Tristeza from where you enjoy magnificent panoramic views and a picnic lunch. This afternoon, spend some time on the pretty beaches of Moreno Lake before returning to your resort for a last evening at leisure in the Lake Country. Bid Adios to Argentina as you return to Buenos Aires by air to connect to your onward flight.